Now the Chumph’s Lawyers are attacking Kittens to preserve the “Trump Name”. Looks like a “masculinity” problem to me. Kittens are a better judge of character than some people I know. The Notorious Kitty which threatened to bring down the Chumph empire. Lucy is a 17-year-old from San Francisco who spends her spare time reading at coffee shops, splurging on guac at Chipotle and practicing her tech skills. The high schooler dreams of working at a disruptive tech company and has recently been applying for web development jobs to get an early jump on her career. 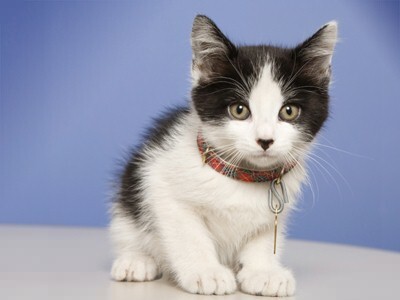 She wanted a “fun, little” project to put on her resume, so she coded a site called TrumpScratch.com where users click on Donald Trump’s face to punch him with tiny kitten paws. But what was meant as nothing more than a jokey website for coding practice has turned into a legal nightmare. Now Lucy is facing the wrath of the big man himself. Three weeks after the site went live, Lucy was served a cease and desist letter from Trump’s general counsel stationed in Trump Tower on Fifth Avenue in NYC. “But after changing, they still came at me,” she said. Lucy is currently enrolled in a coding bootcamp and began learning the skill when she was 16. The site in question is so simple it took her only three hours to code it. But even though it was a quick project, she’s furious out of principle. After changing the name, Lucy and her lawyer haven’t responded to the Trump counsel and are currently waiting to see what happens. Trump’s attorneys have not responded to our request for comment. The violence at Trump events is escalating…In this case a 15 Year Old girl is molested and attacked by “brave” Trump supporters. Hopefully the police will arrest these scumbags, and the girl will sue them for millions. Police in Paul Ryan’s Wisconsin hometown say they are searching for two suspects who they say attacked a protester. In one video, the girl can be heard yelling at a middle-age man with gray hair after she said he touched her chest. The apparent assault came hours after Trump campaign manager Corey Lewandowski was charged with battery against former Breitbart reporter Michelle Fields after grabbing her at a Jupiter, Florida, event on March 8. Two police officers for the Baltimore schools have been arrested after the release of a cellphone video showing one of them slapping and kicking a teenager while the second officer stood by. One officer, Anthony Spence, 44, was charged with second-degree assault, second-degree child abuse by a custodian and misconduct in office in the episode, which occurred March 1, according to a statement by the Baltimore police. Officer Spence posted bond and was released Wednesday. The second officer, Saverna Bias, was charged with second-degree assault and misconduct in office. She also posted bond and was released, according to court records. 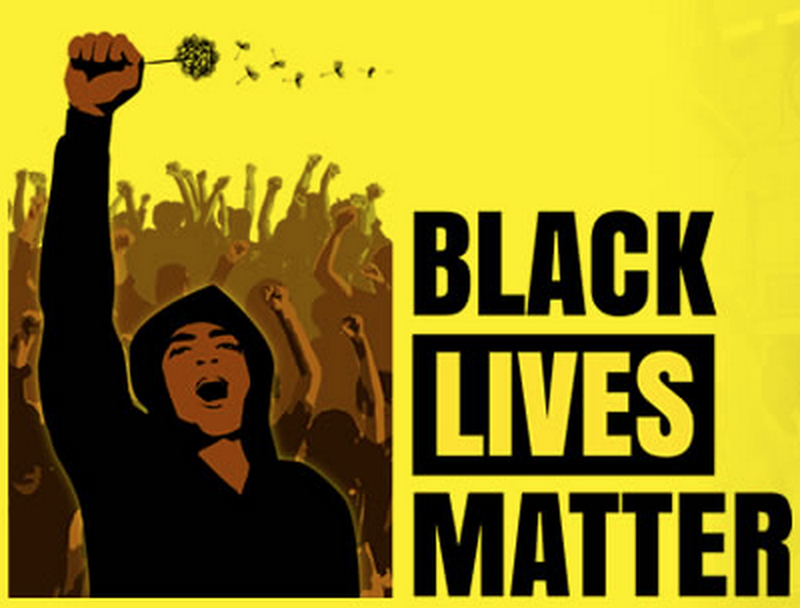 In the video, an officer, who was later identified as Officer Spence, can be seen slapping and kicking the teenager. Officer Spence acknowledged in a conversation with The Associated Press on Friday that he was the subject of a criminal investigation into the actions captured on cellphone video last week at the Reach! Partnership School. “Right now I’m the bad guy,” he said. He referred questions to his lawyer, Michael Davey, who did not immediately respond to a phone call Wednesday morning. The school district has its own police force separate from city police. The Baltimore City Police began a criminal investigation into the incident at the school after the eight-second clip surfaced. School officials initially said that the officers had responded to a reported intruder, and that the young man in the video was not a student. On Friday, the school system said in a statement that he was “believed to be a student on the school’s roster.” The young man’s lawyer, Lauren Geisser, says he is a 10th-grader. On Monday, the chief executive of Baltimore City Schools, Gregory Thornton, met with parents to discuss the video and said he would review training and selection of school police officers. The only good news about this is police have at least one of the suspected shooters in custody. Police believe that the shooting was random. The Knoxville, Tennessee, community is reeling after a high school football player was killed shielding three girls from gunfire. Zaevion Dobson, 15, jumped on top of the girls to protect them as gunmen opened fire in their neighborhood at around 10 p.m. Thursday, local news station WATE reported. The girls were uninjured. Known as “Zae,” the teen played on the Fulton High School football team with his brother, Zack. “He came home from school, did his homework, watched film, watched documentaries of it, players. That’s what he loved — football,” Zack told news station WVLT. His coach, Rob Black, described Zae as a well-liked leader. Knoxville Police Chief David Rausch told ESPN that investigators believe the shootings were gang-related, but don’t think Zaevion and his friends were specifically targeted. “Unfortunately, they picked a random group of young men and women who were just hanging out and trying to prepare to celebrate the holiday,” Rausch said. Rausch explained that the shootings kicked off when someone shot and wounded 46-year-old Lisa Perry, who was inside her apartment. Perry’s 23-year-old son, Brandon Perry, and others then allegedly drove to the neighborhood where Zaevion lived and began firing at random. Brandon Perry was later found shot after crashing his car into an apartment, and died of his injuries. Most of us in the electronics business would recognize the above as a “project board”. You can buy these at the few still existing Radio Shacks or online and add electronic components to them to make a radio, a clock, or most anything you want confined to the capability of he device type…Including a Bomb timer. What makes this a school project instead of a bomb, is the absence of something which goes “boom” like C4 or Semtex, which is pretty hard to come by by domestic or international terrorists inside the US…and virtually impossible to obtain as a High School kid. Which is a big part of the reason Timothy McVeigh used a fertilizer-oil (AMFO) bomb to blow up the Murrah Center, and the 9/11 terrorists…Used airplanes. The second reason this is a school project, is some of the little pieces on that green board are traceable to whomever purchased them. 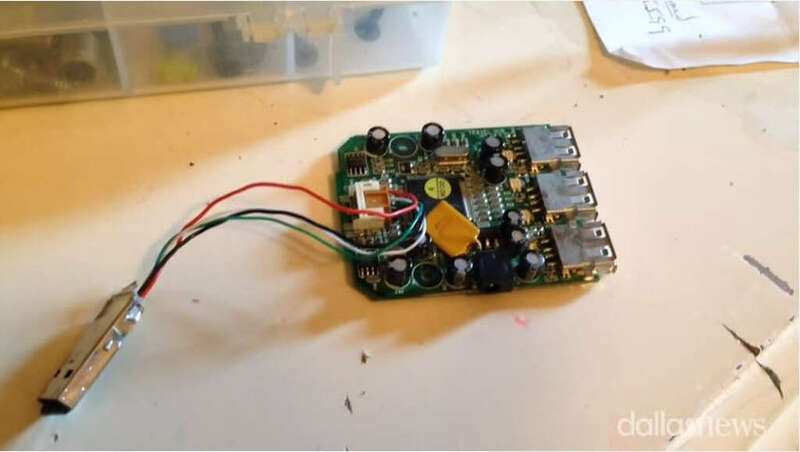 Why someone should confuse the two things – a bomb and a kids electronic project, is an issue involving stereotypes and racism. Obviously this High School doesn’t offer any advanced college prep classes in Chemistry. A Dallas-area teen with a knack for tinkering built a homemade clock for his engineering teachers. 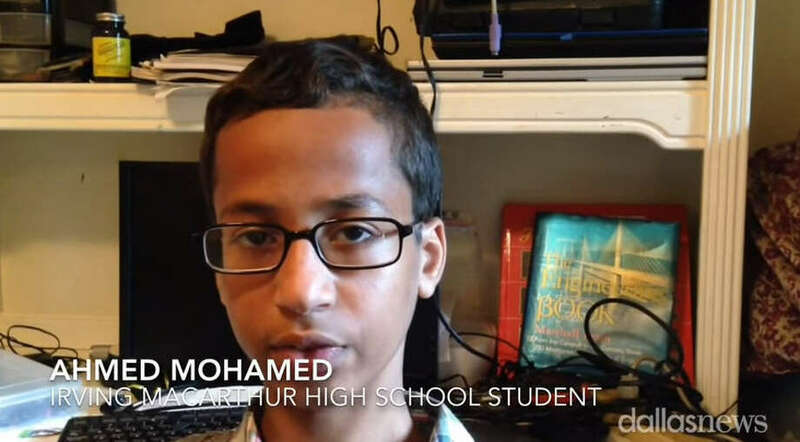 Ahmed Mohamed never expected the reaction he’d receive for his invention. The 14-year-old Irving ISD stud ent was arrested. Despite repeated explanations that the device is a clock and no proof of explosives, police could charge Mohamed “with making a hoax bomb,” the Dallas Morning News reported. The event has caught the attention of the Council on American-Islamic Relations (CAIR) and ignited outrage on social media. A hashtag #IStandWithAhmed has began trending early Wednesday morning. Hope the Internet world hearing about your case has a positive result! Eat your heart out Bieber! TIME magazine named Dante de Blasio the sixth most influential teen of 2013, crowning him New York City’s “latest fashion icon” due to his “now-iconic” afro. Dante even beat out Malala Yousafzai, Justin Bieber, and Malia Obama. 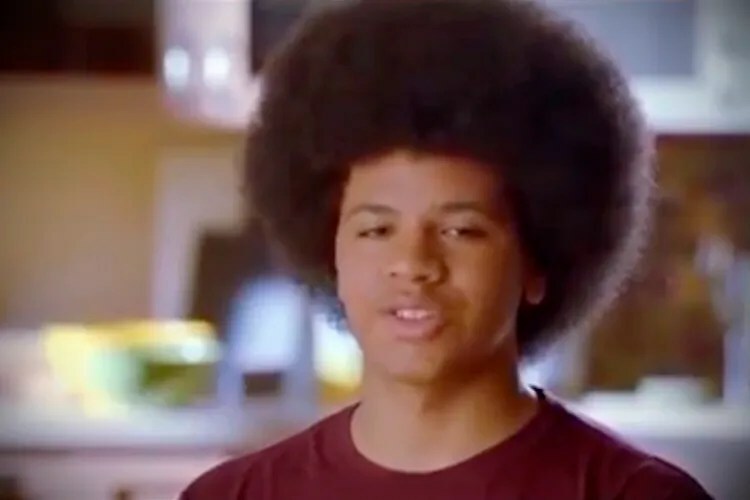 Back in August, the 15-year-old son of mayor-elect Bill de Blasio appeared in a now famous campaign ad in which he spoke against stop and frisk and the Bloomberg administration. The ad breathed new life into de Blasio’s campaign, and thrust Dante, and his hairdo, into the national spotlight. Dante’s afro even garnered the praise and envy of President Obama. Dante’s sister Chiara, however, did not make TIME’s list despite her own campaign ad for her dad, and her awesome collection of headbands. The Greatest ‘Fro of all time?